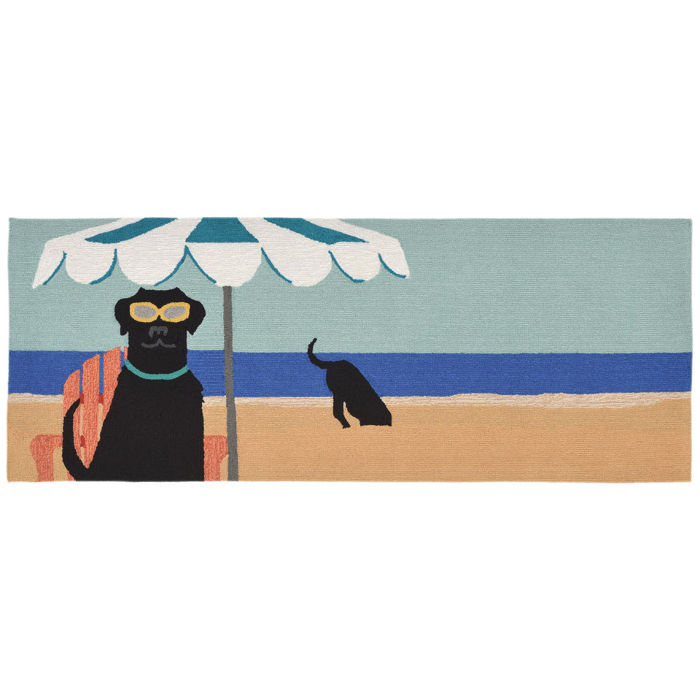 Select Size 20"x30" 24"x36" 30"x48" 27"x72"
Doggie Dig In The Beach Ocean Indoor / Outdoor Mat features a couple of cool beach dogs having fun at the beach. lined beach background . 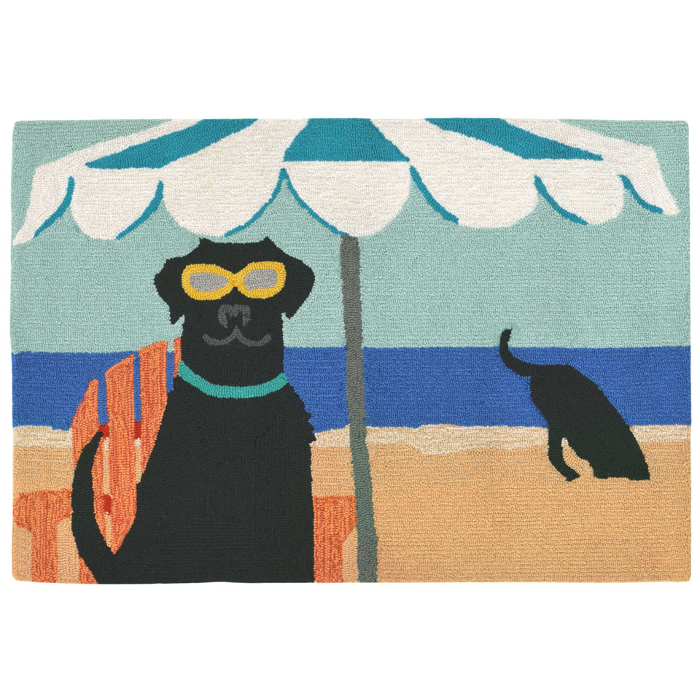 This is a coastal black lab dog lover's rug that is sure to liven up any space. The content and quality of this hand tufted, synthetic blend rug will hold up to indoor or out door use. Richly blended colors add vitality and sophistication to playful novelty designs. Light weight loosely tufted indoor or outside rug made of synthetic material. Resistant to fading. Perfect for coastal mudroom, kitchen, bathroom and porches. Vacuum beach dog doormat regularly. Do no use beater brush. If long ends appear do not pull. This is not a defect. It is normal occurrence in hand tufted rugs and is easily remedied using scissors to trim the sprouted section even with the rug. Sponge spot clean.